FBus is a data bus that is used in cell phones and backplanes. 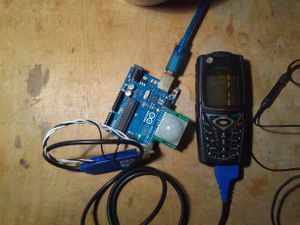 I tried to communicate with a Nokia 5140i using an Arduino. I am not working on the project anymore, just putting it here if someone is interested in this stuff and searching for reference or is interested to continue it. This page was last edited on 26 March 2015, at 05:20.